HRH The Prince of Wales visits our base. 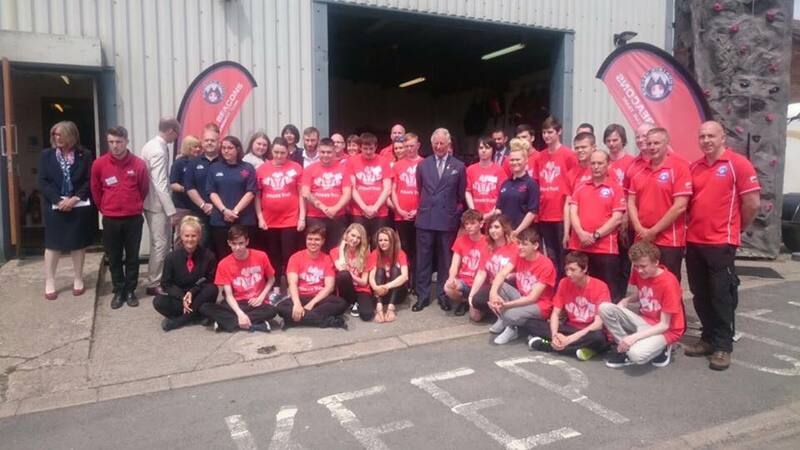 Central Beacons MRT has a long standing and proud working relationship with The Prince’s Trust Wales, helping young people experience the great outdoors to develop their team-working skills and unlock their potential. As part of the Trust’s birthday celebrations, alongside our friends at Tydfil Training we were honoured yesterday to host a visit by HRH Prince Charles at our base. Throughout his visit The Prince made sure he spoke to everyone, asking questions about the Trust’s projects, showing interest in our mountain rescue work, the achievements of the young people and their enjoyment of the activities with us. A great occasion for our community and we look forward to our next piece of work with the Trust.